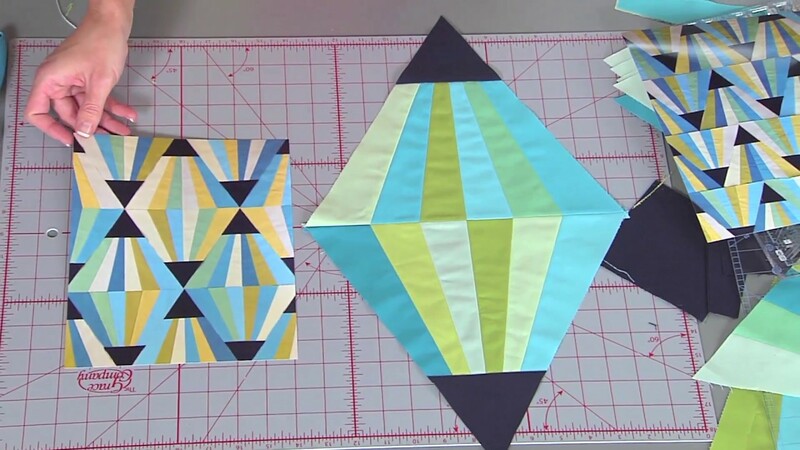 Home Quilting Tutorials THIS MAGIC TRIANGLE BLOCK IS A MUST TRY! I have just been in the mood for those blocks that are out of the ordinary and really add a cool effect on a quilt! Do not get me wrong, the classic blocks are great, hence them being a classic, but I think adding a new look to a quilt is so exciting. I found a tutorial on how to make a quilt that just looks exquisite! You have to check it out! It is a tutorial on the magic triangle block, presented by Christina Cameli with Modern Techniques on afewscraps channel. This block is exactly what the name implies, magic! It has a look that makes the triangles such a fun focus and the possibilities for color are infinite so add your personal touch! To get a clearer image check out the video because the quilt is displayed in it To begin the process of this quilt, you will need all your regular quilting tools (rotary cutter, ruler, etc.) and also a ten-degree wedge ruler. This can be really handy for any kind of block with a slant, so having one may be pretty convenient. Other than that, you will need nine inch wide strips, multiple of them, in all the colors that you want to see in the quilt. This is where it gets so fun and your personality can really come through so take advantage of this! Christina really does a fabulous job walking us through the tutorial and demonstrating everything we need to do to be successful in making the magic triangle block. I really think that this quilt is great, and the video is really worth checking out. Take advantage of this amazing resource and add something unique to your quilting projects! This quilt is so much fun and worth a try so do not miss out! Reminds me of paper lanterns or hot air balloons! interesting! Just might try. Would have to get a printed pattern first! Viv Burns – diamonds or elephants?